THE decision by vacuum billionaire and Brexit backer James Dyson to decamp his HQ to Singapore got the Left’s outrage train going yesterday. First aboard was the Guardian’s self-styled comedy writer Jack Bernhardt to vent some cheap anti-Brexit spleen: ‘It seems like every three weeks we hear another one of these squalid stories of brazen Brexit hypocrisy.’ . High horses took over the concourse. They had a heyday as well as an away day on Twitter, drowning out any reasoned comment or ‘context’ by way of explanation proffered. With even the Spectator unable to resist having a go, you might agree the ‘optics’ didn’t look good. But they looked far worse for what seems troublingly like the standard British negative attitudes. They certainly confirm the Leftist worst of them and explain exactly why so many successful businessmen end up taking their firms abroad. ‘Tall poppy syndrome’ is how Australians and Americans describe the envy and resentment that can permeate British life. Instead of praising the innovators and entrepreneurs who create wealth, businesses, jobs and trade for the country, the Brits have a horrible cultural desire to heap odium on them. It’s almost a pathology and it is certainly ugly. And we need to get over it. It’s not the first time, for all his philanthropy, that Sir James has come in for it. Just under a year ago the Guardian (yes, again), courtesy of Zoe Williams’s truly unpleasant pen, decided that people like Dyson weren’t demonised enough. A bizarrely gratuitous article, in which she loosely associated Sir James with the drug-addicted offspring of a different tycoon, was one that I pointed out at the time should never have been published. The basis of Williams’s jibe, which took some searching to uncover, was some comments he’d made in a long interview on the future of business and invention. He’d had the temerity to point out: ‘Unlike America, where wealth is championed, Britain frowns on successful entrepreneurs and private companies’, and is a nation where ‘making money is rather demonised’; where ‘the government tries to extract as much as it can out of companies, requiring more and more red tape and making it less and less attractive for entrepreneurs to start businesses’. And there lies the problem for his and other businesses. 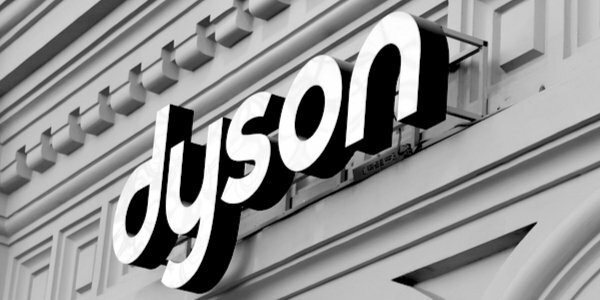 Add to that Dyson’s huge philanthropic commitments in this country, and even the most uncharitable must grant that he has to consider the best and most competitive place from which to operate. It’s what’s called having a sound (and in his case, responsible) business mind. Without it, do his detractors seriously think Dyson would ever have made enough money to invest £2.5billion into artificial intelligence, robotics and battery technology? Do they think he would have generated the wherewithal to found and fund the Dyson School of Design Engineering at Imperial College London and the Dyson Centre for Engineering Design at the University of Cambridge, where 1,200 young engineers are busy building prototypes? Do they think the money that he is investing in planning and building an entire new university for engineers in Wiltshire grows on trees? Gosh, it’s easy to be high-minded and judgmental about other people’s ‘social responsibility’ and ‘responsibility to their country’, isn’t it? ‘Outraged-social-commentators-united’, who’ve given back quite what to their country I wonder, could instead start considering exactly why British businesses find themselves at such a critical disadvantage to their rivals across the Atlantic, and what should be done about it. It can’t take them long to discover that Brexit is the fundamental requirement, followed by looking at what Singapore, where Sir James is taking his HQ, does so well – from rigorous education to low taxation and low regulation onwards – that we can start emulating. With the short shrift given Britain’s most renowned living inventor and entrepreneur, along with the gross disadvantages of doing business here, can you blame him for wanting to up sticks? I can’t.